Discover the best earbuds under $20 on the market right now. What Earbuds Can You Expect for $20? Why Are There No Wireless Earbuds in This Guide? Product prices and availability are accurate as of the date/time indicated and are subject to change. Any price and availability information displayed on HeadphonesAddict.com at the time of purchase will apply to the purchase of this product. Jump to: Best Earbuds under $20 | What to Expect? | Why No Wireless Options? 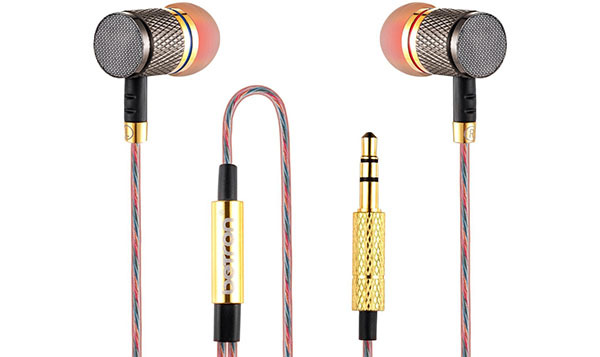 Here you’ll find all the top in-ear headphones that you can buy for less than $20. We focused on the price range of $10 to $20. While this isn’t a lot of money, we found some really nice options that will more than satisfy your needs. Most of these are basic wired earphones without any special features. There are no wireless earbuds because decent ones start at around $30. Nonetheless, the recommendations here have better sound quality than what the price would suggest. Check them out below. 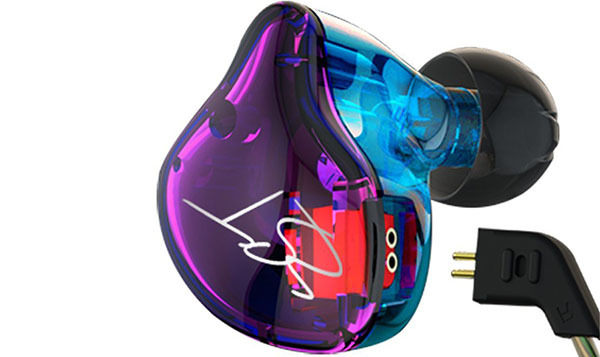 KZ ZST in-ear headphones will give you the best overall performance you can get at under $20. If you’re looking for earbuds under $20 that will satisfy your needs for good audio and user experience, these are the ones to buy. They’re comfortable to wear, although you have to get used to them because they’re a little bigger in size and are worn behind the ears. Once you get used to the behind-the-ear fit, you’ll appreciate their light weight. It’s worth getting extra foam eartips to get the best comfort, sound, and noise isolation as this makes them perform like much more expensive earphones. Add a memory wire that helps them stay in the same place and the lack of cable noise, and you’re getting fantastic value for the money. There’s not much to complain about. The only thing might be the lack of foam eartips—you get only silicone tips—which would make them perfect. Considering the price, the sound is terrific. Slightly V-shaped sound signature makes every music delightful. They have a capable and controlled bass with detailed treble without any harshness or sibilance. The ZST sound like a poor audiophile’s in-ear monitors. KZ ZST are enjoyable, durable, earphones, with a somewhat balanced frequency response (slighly V-shaped), that will satisfy your ears and your wallet. Easily the best earbuds for $20. Mee Audio M6 are the best cheap earbuds for working out. If you’re a sports enthusiast (on a budget) and like to get motivated with music in the gym, these are perfect for you (More workout headphones here.). Secure over-the-ear fit with memory wire will help them stay in place. Cord doesn’t tangle so you can throw them in your backpack without worries. These are also IPX5 certified which means resistant to sweat and water splashes. It’s a must-feature for a workout pair of headphones. Add effective ambient noise isolation, and you’ll understand why these sub-$20 earbuds are so popular. Audiophiles won’t appreciate the overpowering, bassy sound. So make sure you pick these if you don’t mind more bass than usual. The cord is long and can interfere with your running. Thankfully, you get cable clips for easier management. 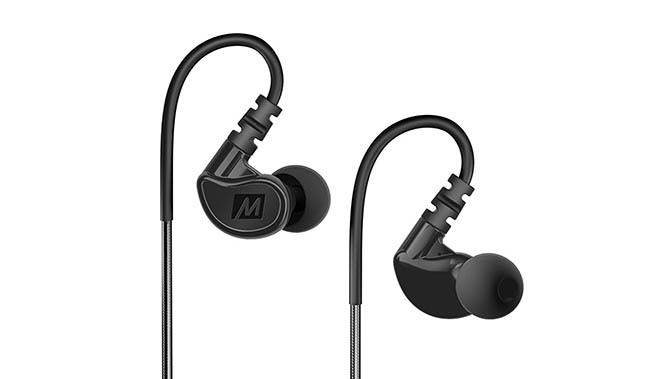 They have an enjoyable bass-heavy sound that’s hard to find at under $20 in sweatproof earbuds. The strong lows will help you stay motivated in the gym or while running but don’t expect sonic fidelity. MEE Audio M6 are made for sports person who likes to get his or her motivation going with heavy bass. Their simplicity, dependability, and unbeatable price makes them one of the most popular workout headphones right now. Betron YSM1000 are cheap wired IEMs, made for bassheads. If the sound of heavy bass gets you pumped for the things you do, these are worth having in your pocket. Together with the signature sound, you also get a unique and stylish design that hides the low price. They’re still comfortable, despite the metal design and not being very light. Additionally, you can navigate your music and calls with built-in microphone and controls (compatible with Apple and Android devices). It’s a nice feature to have at under $20 price. While it’s true they have big bass, they’re not optimal for working out. The reason is that they weight a bit more, so they tend to fall out of your ear canal. YSM1000 have lots of bass for the price. Although, it can get muddy at times, considering the cost it’s a non-issue. Don’t except any good instrument separation as lows pretty much overtake every other range. Betron YSM1000 are stylish earbuds that are a must-have for all bassheads looking to satisfy their bass needs for under $20. 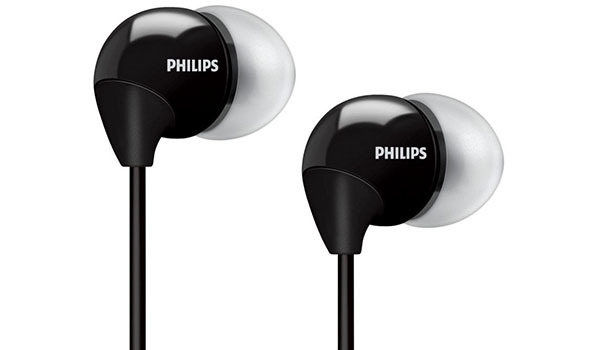 Philips SHE3590 are rather average, general-use earbuds but they are incredibly cheap and give you solid sound quality and long-term comfort. If you’d like to get IEMs under $20 (on sale even under $10) that can satisfy your needs for good music, go and buy them. The best thing about them—they are cheap and reliable. Tiny earbuds allow you to lie on the side so you can listen to them before sleeping or taking a nap. Also, you can choose from different colors to best fit your style. With the basic price so are the features. They don’t have the best durability, because of their thin cord and weak connector. There’s no built-in microphone or remote but considering the price that’s understandable. Clean sound, with precise mids and highs and emphasis on bass. So, great for any kind of modern music, and better than your average cheap earphones. In summary, Philips SHE3590 are great for everyday use, because they fit well, provide pleasing sound quality for every kind of music and can be taken everywhere because of their size and lightweight design. 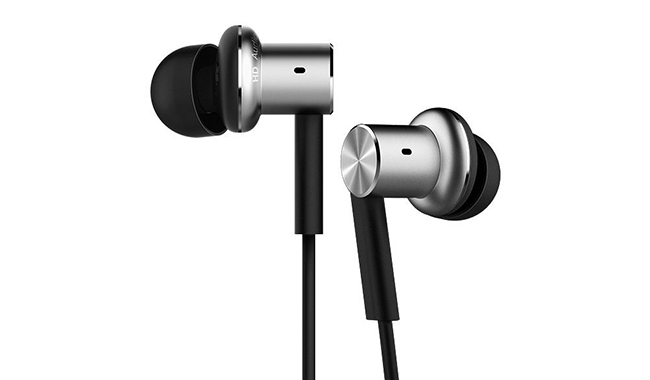 Xiaomi Mi Hybrids are trendy looking, bass emphasized headphones that will serve you for a long time. And if you’re looking for well-built buds under $20, get these. P.S. Sometimes the price goes above $20 but not much. If you’re tired of buying new headphones over and over because they all break too soon, these highly durable headphones are for you. Metal construction gives them an everlasting look, yet they still feel very light while wearing them—even for an extended period of time. Wired remote comes with three buttons—for answering calls, music playback and volume adjustment (Android devices). You also get high-quality silicone eartips that prevent skin irritation. All in all, they are a bargain and offer a lot of value for the money you’re paying. Volume adjustment is not supported on iOS devices which is a shame. They’re also not stable while running or working out so you should use them as an everyday pair of earbuds instead. Aerospace-grade metal diaphragm offers deep resonating bass for that perfect kick. The bass is consistent, deep, and extremely solid. The mids have nice full sound to them, and the highs are clear. If you’re one of the people who mistreat their headphones, Xiaomi Mi Hybrids offer unbeatable quality at this price point with a pleasant sound and timeless look. With their sleek look and balanced sound quality, 1MORE 1M301 headphones are a great alternative to expensive relatives. If you want to stay stylish, listen to your music through improved speakers and not spend too much money, these beauties are for you. The first advantage that is rare to find at this price is the dual drivers. The design comes with tangle-free cable, in-line mic and remote control (compatible with Apple and Android), and an ergonomic shape which provides a tight fit, better noise isolation, and fullness of sound. Durability is okay, the earpieces tend to split in half if you pull them too hard so you should be careful. Also, the microphone can start giving feedback (echoing your own voice) in the right conditions. As said above, the dual drives deliver balanced sound. One speaker handles mids and highs; the other one controls the bass. Music sounds more vibrant and warmer, although you can’t really compare them to high-end dual driver earbuds. 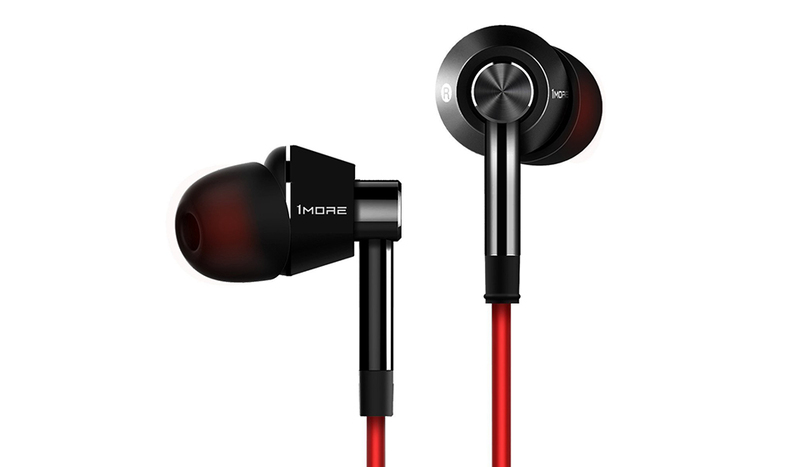 1MORE 1M301 are excellent dual-driver earbuds under $20. Sure they’re not perfect but for double the number of drivers you’re paying a low price and getting a lot of value. 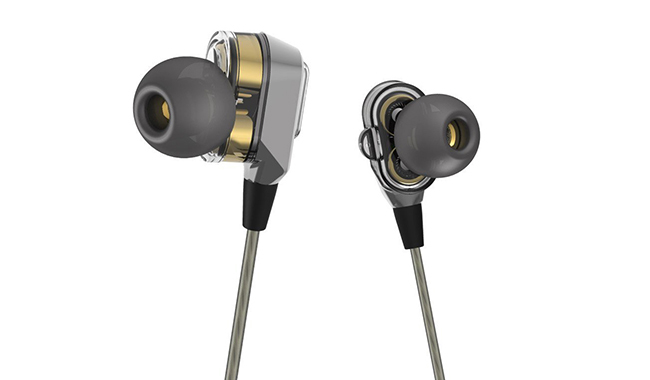 ActionPie VJJB-V1S in-ear headphones will last a long time, give you strong bass and are also friendly to your wallet. If you’re looking for a durable budget earbuds, you can use every day, and if their sound is more important to you than their appearance, these are for you. Although built-quality is a little weak, they will provide solid durability, when treated nicely. You can wear them in two ways: under-ear or over-the-ear. The housing is small and lightweight. Plus, you get an in-line remote and microphone compatible with iPhones and Android phones. It’s always helpful to control your music without hassle. The microphone is not as clear as expected, but still OK for making calls. Also, it’s hard to distinguish from the left and right earbud. They have good bass – not too heavy, but still, produce a decent amount of lows. No distortion in the mids and highs which is rare for their price. Not for hard bass lovers, more of a balanced sound, so they sound great for all music genres. What makes ActionPie VJJB-V1S worth buying is excellent sound quality, acceptable durability, and comfort, all that for under $20. You might be wondering if buying earbuds for $20 is even worth it. We think it is. There are a couple of real gems in this list, and you’d do yourself a disservice if you ignored them. As long as you understand that most will have only the basic features and average build-quality you’ll find many of them sound surprisingly pleasing. All are wired earphones and many with the in-line microphone and remote control though of rather average quality. Also, most come only with essential silicone ear tips and aren’t sweatproof. You merely have to take the bad with the good. Nonetheless, you can enjoy pleasant audio quality for very little money. And that’s the whole point of it. Of course, you could find wireless Bluetooth earbuds under $20, but their performance is mediocre at best. If you have only 20 dollars to spend, we advise you to get wired headphones. For that kind of money, you can get decent durability and excellent sound quality. If you’re not convinced, you can check the best earbuds under $30 guide and look for the top wireless recommendation. Keep in mind cheap earphones with battery don’t hold a charge for too long. Because cheap price brings lower quality materials. Thank you for using HeadphonesAddict. Hope this guide has been helpful. You can let us know in the comments below.